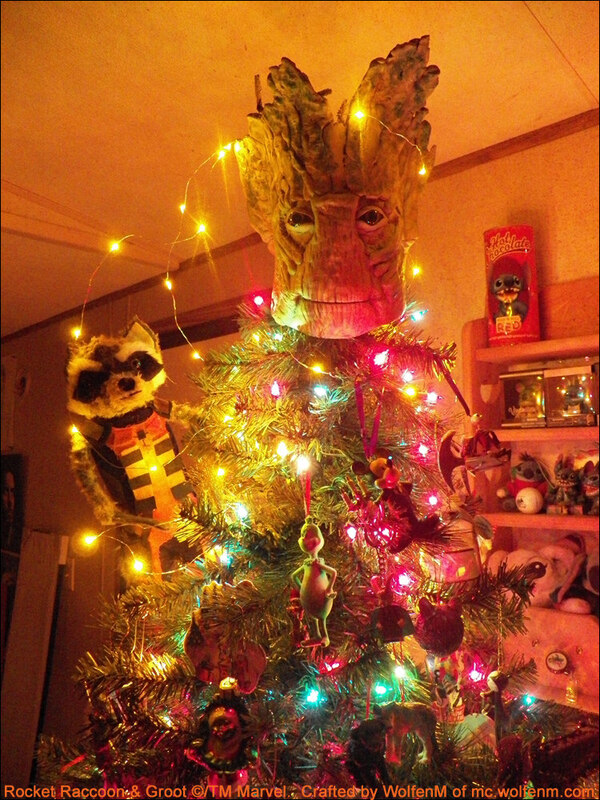 Custom Groot Tree Topper: For the Awesomest Tree in the Galaxy | OhGizmo! By Hazel Chua on 12/09/14 • Leave a comment! It’s that wonderful time of the year once more. If you haven’t found the perfect topper for the tree yet, then here’s something that might give you some ideas: the custom Groot tree topper made with love by DeviantArt user witchcraftywolfen. Of course, you’ll need some skills to make something like this, what with Groot’s simple-yet-complicated features. To make the tree topper, you’ll need a CD spool cover, foam, plastic eyes, Crayola Model Magic, pipe cleaners, and acrylic paint. Hit the break for more shots of the Groot tree topper.